What is the LTE eNB? LTE-Advanced (LTE Rel. 10 and beyond), the real 4G standard, is a response to the rapidly growing traffic generated by the widespread adoption of smartphone devices. 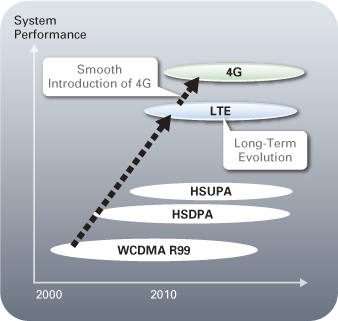 The new standards aim to achieve a higher level of system performance than LTE Rel. 8, while maintaining backwards compatibility. To meet these performance targets ITU-T has announced new requirements, based on the LTE-A radio access interface specifications developed in 2011. 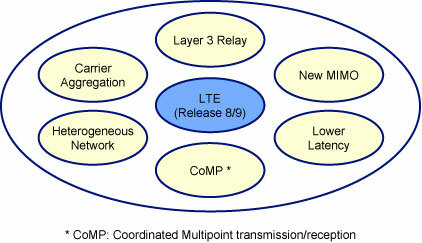 A series of innovative technologies have been developed to meet these competitive requirements (Figure 2), and are now being implemented in LTE-Advanced networks. 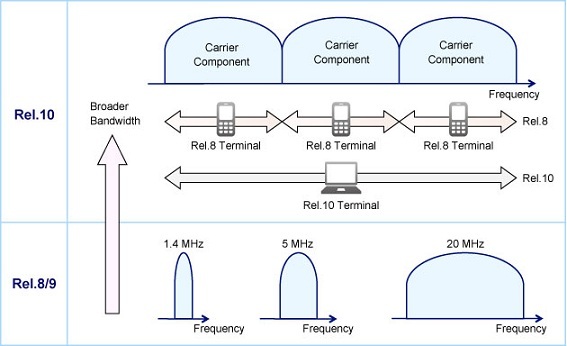 Carrier Aggregation (CA, Figure 3), Enhanced Uplink Multi-antenna Transmission, CoMP Reception in the Uplink, and an array of other techniques are already boosting the performance of the world’s most cutting edge mobile networks. 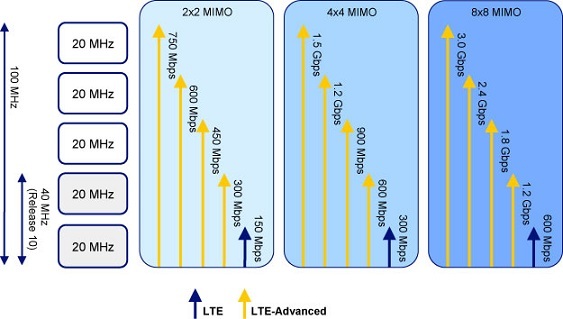 LTE-Advanced will enable 1 Gbps downlink bandwidth (Figure 4) without sacrificing legacy LTE services and open a new era of true wireless broadband services in the near future.